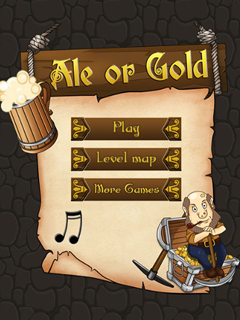 "Ale or gold" is a game about a gnome, who can't control himself when things come to ale. 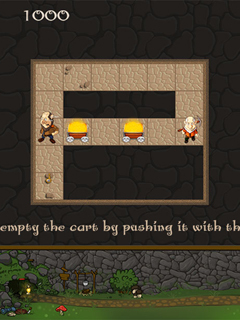 Push the goldmine trolley to his companion. 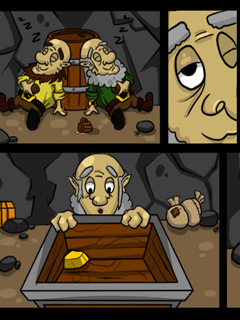 Collect the gold, puzzle out game's riddles. 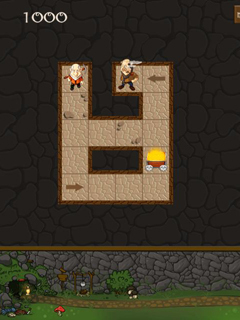 Control your gnome's sober, don't let him party with his friends. Let him be productive without ale.